John F. Kennedy was born on May 29, 1917. The 35th President of the United States, 1961-1963, was the youngest man elected to the office. The JFK Library is commemorating his centennial during the month of May, with several events around the US. Read more on the JFK Centennial Events website. Kennedy was photographed with Jacqueline in 1957 at Hammersmith Farm in Newport, Rhode Island, the home of her mother, Mrs. Hugh Auchincloss; and again in 1960, in his Senate office during his run for the Presidency. 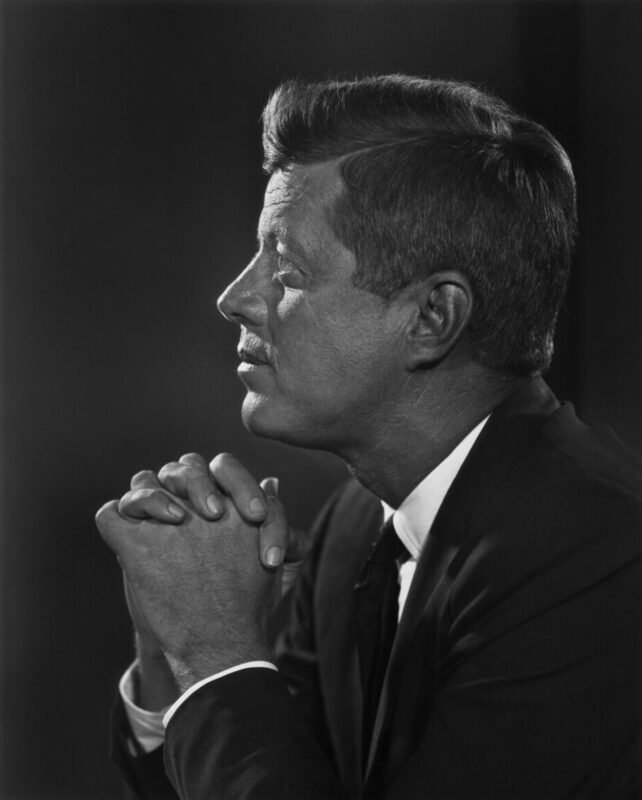 Learn more about the Kennedy Sittings.